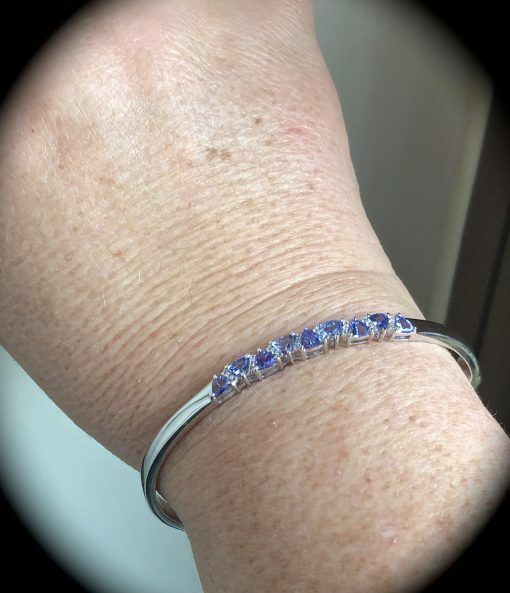 TANZANITE CUFF 925 STERLING SILVER "CERTIFIED" BEAUTIFUL PIECE! 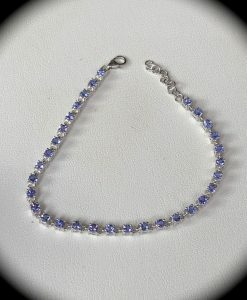 TANZANITE CUFF 925 STERLING SILVER “CERTIFIED” BEAUTIFUL PIECE! 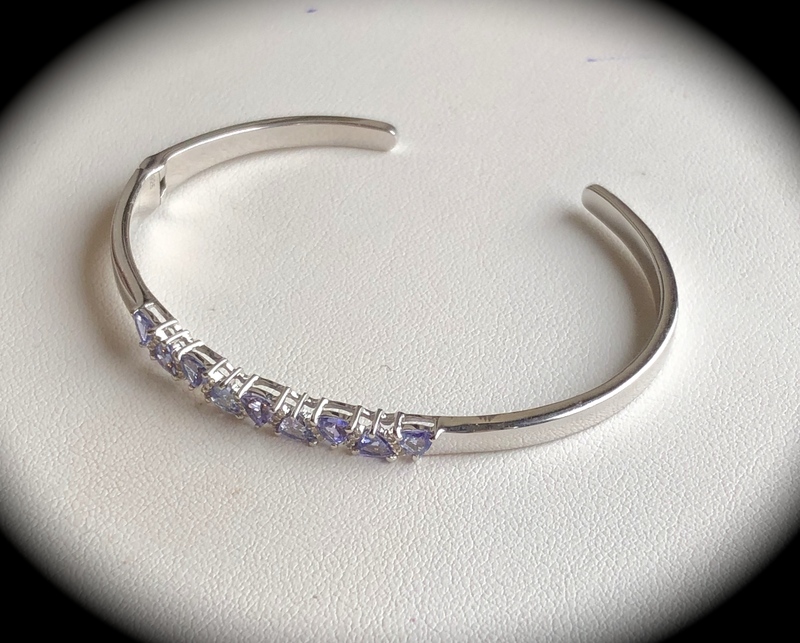 Such a stunning premium quality Sterling silver cuff set with the most beautiful genuine tanzanites mined from Mother Earth in Tanzania. Each of the 9 tanzanites have been cut into the attractive trillion shape and measure 4mm x 4mm with a combined weight of 2.03 carats so a tad under 1/4 of a carat each so not tiny gemstones by any means! 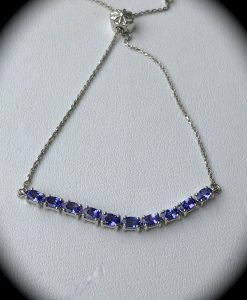 The colour of the tanzanites is a beautiful violet/blue, so eye catching! To add that touch more luxury, genuine white topaz have been set into the design. The silver weight of the cuff is 14.01g so not a flimsy piece and has been independently hallmarked by the Birmingham Assay Office in the UK. The cuff has a hinge at the side for ease of wear. The inside diameter at the widest point is approximately 6cm (2.36 inches). The models wrist size is 7″ and the cuff fits comfortably with adequate room. We are sure that whoever decides to buy this bangle will be thrilled with their purchase! 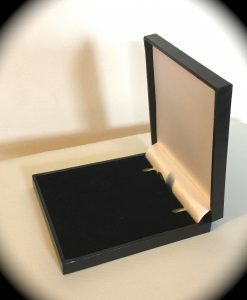 Please be assured, the cuff is hand crafted to a high standard and is NOT mass machine and is brand new and will be delivered to you in a premium quality presentation box as pictured. 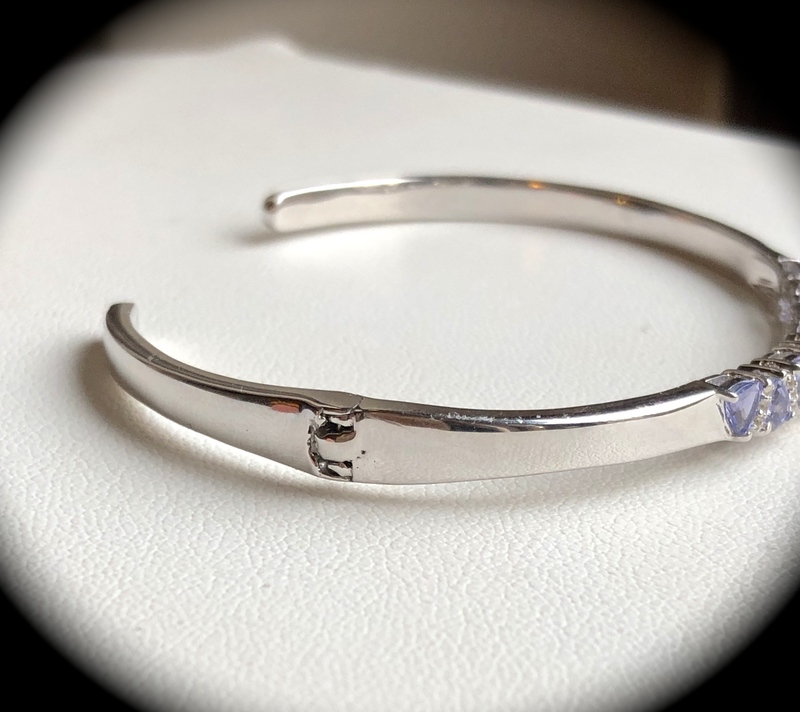 The cuff you see in our photos is the item that will be sent to you and is not part of a bulk lot which some retailers display on their websites! 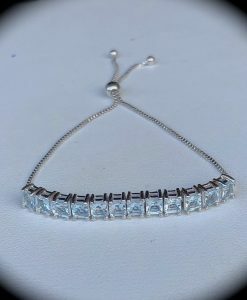 We will gladly accept a return if you are not 100% happy with your purchase and will reimburse you for the full cost as long as the cuff is returned to us in the same new condition and in the same box. Please take a look at our feedback from over 1,700 satisfied customers who have bought through our Ebay and Etsy stores and are pleased to say,we have now established a fantastic customer base who return to us on a regular basis.